Will God forgive you for your affair? 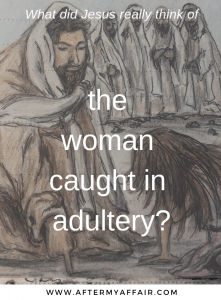 Let’s look at what did Jesus do with the woman caught in adultery. Did he cast her aside? “Go and sin no more.” That’s what Jesus said to the woman caught in adultery. You’ve likely heard the story before that’s in the bible: John 8:3-11. The religious leaders at the time brought a woman, who was caught in adultery, to Jesus. The religious leaders were actually testing him, trying to trap him. they then asked him what should be done to this woman. They didn’t have concern for her, or even the law. thinking that no matter which was he said he wouldn’t be revered by the people anymore. I’m sure they each had their own stones, or large rocks, in their hands just waiting for the word to throw them at the woman. Guilt and Shame are like stones that seek to destroy us. Have you ever been on the receiving end of judgement and condemnation? I have, and it’s no fun. This woman caught in adultery also understood the shame of being on the receiving end of gossip and anger. Guilt can be used to convict us of our sin, causing us to want to turn away from it and change. But shame casts us down to our core because it implies there’s no hope for changing. Read more about overcoming shame in infidelity in this post, and the 6 ways I list to get free. But listen to what Jesus does next. It doesn’t matter what the accusers say about you, the gossip they share behind your back, or the anger they spew out….Jesus is not persuaded by their judgements or accusations. Jesus’ love for this woman was stronger than their accusations. They had to drop their stones. 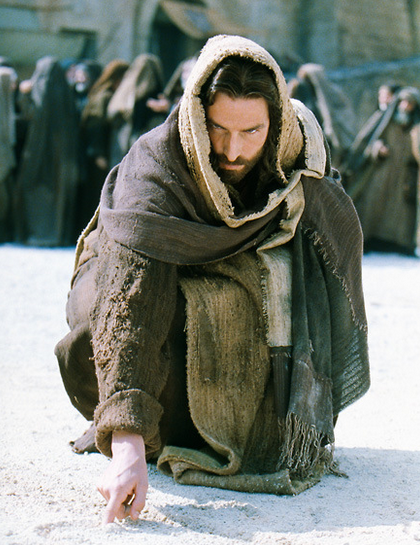 Many have speculated as to what Jesus wrote in the sand that day. I think it’s telling that those who heard it were convicted and left one by one, from the oldest to youngest. Perhaps the oldest left first because they recognized their many sins in the sand that day. They each had to eventually drop their stones and leave. 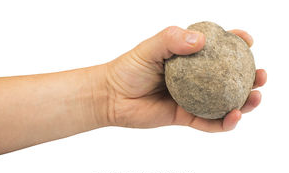 Nobody could throw that first stone at her because they each had sinned also. Yes, they may not have committed adultery, the labels on their sins and failures was different, but they still had sinned. But ultimately, they were not any better than this exposed woman, caught in adultery. Jesus’ love was not only in words to the woman, but in action. His love was visible to all even though it was not popular, and contrary to the culture of the time. He stood with her. I love that about Jesus. He wasn’t concerned about His own reputation or the ‘political correctness’ or that day. He stood by her side. Be sure to read my post on 30 powerful scriptures to change your life and get the free printable too! Jesus wanted more for her than how she was living. But he didn’t just walk away after that. He didn’t want to leave her in her sin. By showing his mercy for her, that didn’t mean he condoned her sin. Jesus loved her and wanted more for her than the pit of sin she’d grown accustomed to, He wanted her to be set free. These words were not spoken in harsh judgement or anger. Just an unconditional love that reaches down to pull one up to a better place. (These were words I would hear in my own head some days, while I was living in my own sin, and feeling miserable most of the time. He was still there reaching out to rescue me, if I wanted it). I always thought it was amazingly loving of him to not confront her sin with others watching and listening. He waited until he dealt with her accusers, after each one left. THEN he talked directly to her about her sin and shame. Jesus knew the greatest threat she had was not the Pharisee’s stoning her. Sounds crazy doesn’t it? No, her greatest threat was her separation from God and that’s what sin does. God’s not after us ‘following rules’ but following Him. He knows our sins will separate us from Him in this life, and for eternity, if we don’t turn from them. Jesus loves us too much to leave us in our pit of sin. If he could reach this woman caught in the very act of adultery and tell her of his forgiveness, don’t you think he is offering you the same forgiveness now? He has better things for you than being in an adulterous relationship will ever bring you. The thing we thought was so fun and fulfilling actually looks like a pile of trash compared to what God offers us. Affairs are not true intimacy, but a counterfeit. It’s alluring and intoxicating but it’s not God’s purpose for you. He has a better plan for your life. That I can guarantee. Don’t confuse your feelings over God’s will. If he approved of this relationship, he wouldn’t have named it as one of the Ten Commandments: Thou shall not commit adultery. I know that may sound direct, and even ‘old-fashioned’ according to today’s standards. But our creator knows what will lead us to a life of fulfillment and joy, and what will lead us into being trapped. Affairs always lead to misery and entrapment, even if it seems fun for a season. I wouldn’t be a good friend if I didn’t show you the way out of your pain and confusion. Just from the very secretive nature of affairs, we often hide from shame and guilt. Overcoming the shame from your infidelity is important because He doesn’t want you to stay stuck there. We often want to justify our behavior and choices when we’re doing something we know in our hearts go against our own values or morals. It’s going to be hard to let him go and end the affair, I won’t lie to you. But your life will get so much harder if you stay ambivalent and avoid the decision to end it. Have you turned your life over to Him? Maybe you’re a christian and you were once close to Jesus but you drifted away from God. Or maybe you don’t know the fullness of a relationship with Jesus. Turn to Him now and let His love heal the deepest, most broken parts of you that nobody else sees. Click here to learn more about How to know God. The role of faith in the healing of our marriage. Be sure to also read my open letter post ‘to the christian woman who had an affair’.